Another year, another few selections of smartphones that I would see as a potential device worthy to be a good purchase. Although my list is a simple one, but I have looked through all the specifications and I feel that my top 5 list of smartphones for the first half of 2015 is a good guide for those who are looking to buy a new smartphone. One of the criteria that I look for in a smartphone for 2015 is the ability to support 64-bit systems. That is a major plus point because 64-bit based OS will run faster, more stable and better memory management. Take a look at iPhone 6. With only 1GB of RAM, the phone still runs smoothly without any glitch or lag. The OS is built so well that it uses little memory that caused smooth scrolling. It is also built on a 64-bit system. Another criteria is the ability to support LTE network. I see that LTE is getting more important for us on daily use. We want faster internet and less downtime. LTE in Kuala Lumpur has good coverage. I can be in a secluded area on the outskirts of KL and still can receive LTE network. So it’s all good if you’re using it within Klang Valley. No more delays, here are my top 5 list of smartphones that are worthy of buying. This is my personal phone. The one that I’m currently using. Well…close enough. I’m using the Moto G 2014 Edition without the LTE support. So this is potentially a replacement phone for me. Why? Because it’s Moto G.
Tell you the truth, this is one heck of a good phone. The specifications can be considered low for today’s usage. Powered by Snapdragon 400 and only 1GB of RAM, but because it doesn’t come with “bloatwares”, it runs smoothly. And after I receive the Lollipop update, it works even better. The LTE version has been upgraded a little bit. It now comes with 16GB of space (instead of 8GB) and Android Lollipop out-of-the-box. So if you’re planning not to spend too much on a new phone, this is a good phone to buy. Price should be around RM700. First time that I have a HTC in my list. 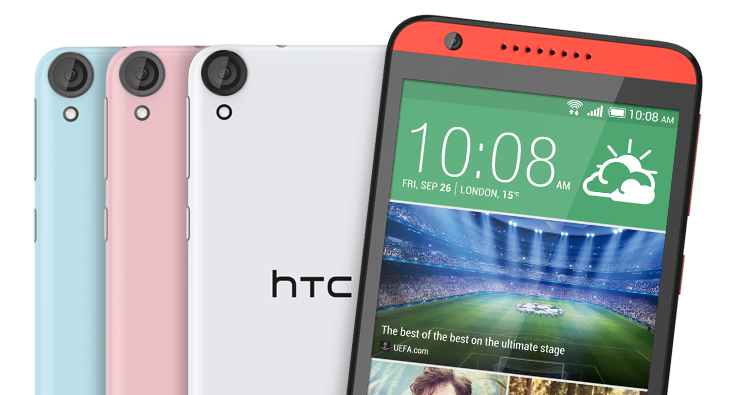 The HTC Desire 820 is another good potential performer for the first half of 2015. I have this one in my list because the price is not that expensive and it supports both LTE and 64-bit system. The Desire 820 is using a Snapdragon 615 with big.LITTLE architecture and comes with 2GB of RAM and 16GB of space inside the phone. Supports up to 128GB of microSD card too. Needless to say, this phone also caught my attention by its beautifully designed exterior. It looks stunning. Price is around RM1,199. What, you may ask? Yes. It’s a BlackBerry. No I made no mistake by adding it in my list. And yes, it’s still exist. Now I’m gonna tell you why I have this in my list. I have used a BlackBerry during its peak era. I love the keyboard and it’s so much easier to type on it. It was the clickaty-clickaty-clack sound when typing that made it a trademark by us BlackBerry users. After most of the other smartphones emerges (Android and iPhone), users started making the shift out from BlackBerry and they prefer the touch screen interface. And with tons of cool apps available on Android and iPhone, they left BlackBerry for good. Honestly, this is my top most possible purchase of 2015. I’m shifting back to BlackBerry. 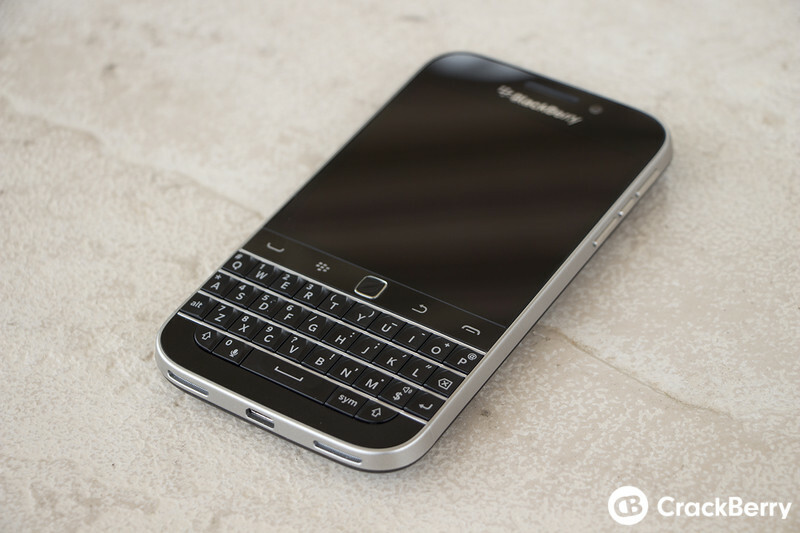 This BlackBerry Classic has bigger screen than the Q10, it feels more solid, it’s faster and has smoother operations, and most of all…it supports Android apps. You can now install any Android APK to sideload with the BlackBerry Classic (or any other BlackBerry 10 OS based phones). On the other hand, there is also the Amazon App Store that comes with the phone so you can also install any Android apps from there. It runs on Snapdragon dual core 1,5 krait CPU and with 2GB of RAM. You also got 16GB of space with support up to 128GB microSD. Camera has been improved with 8-megapixel and the ability to shoot a full 1080p HD video. I could have listed the full touchscreen version of the BlackBerry like the Z30 or the Z3 here. But I won’t. Why? It’s the keyboard man…the keyboard. Price is around RM1,599. The new Lenovo Vibe X2 Pro is another beautifully designed phone. It is due for launch sometime in April 2015 and I expect it to be a hit. The Vibe X2 however, is already on the market. The differences between the Vibe X2 and the Vibe X2 Pro are the CPU (Mediatek true-octa core for Vibe X2 and Snapdragon 615 for Vibe X2 Pro), screen size (Vibe X2 is 5″ and X2 Pro is 5.3″), camera (both are 13-megapixel but Vibe X2 Pro has 13-megapixel front camera with autofocus, only 5-megapixel on Vibe X2 and no autofocus) and there’s no expansion slot for Vibe X2 as oppose to 128GB microSD ready for Vibe X2 Pro. I expect the Vibe X2 Pro will be a hit because of the design and the LTE + 64-bit system ready. The design appears like it comes in three layers of colours. It’s very slim too, so it is nice to hold. It’s a phone for selfie lovers, all thanks to the 13-megapixel front camera. Lets not forget the autofocus capability on the front camera too. Expected price: RM1,299 (RM999 for Vibe X2). First time ever that Asus get on top of my list. For a good reason too. It is the first ever Android smartphone that comes with 4GB of RAM. But many other phone makers are coming up with 4GB of RAM already, but Asus is the first to announce it. Expected launch date is March 2015. 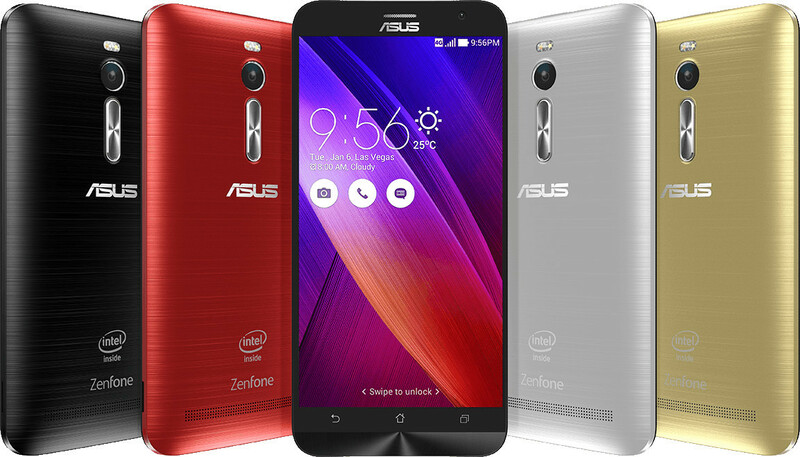 This (rather) large 5.5″ screen Asus Zenfone 2 is one of those phones that shouts “buy me now”, and I would reply “shut up and take my money”. I’ll tell you why later on. But first, some basic specs. It is powered by a 64-bit ready quad-core Intel Atom processor, 4GB of RAM (although they also have a 2GB variant available), LTE ready, 16/32/64 GB storage space options and up to 64GB external microSD. Also comes with an improved 13-megapixel camera with dual LED (dual tone) flash. The specifications in this Zenfone 2 are quite a good and can be a good contender to challenge the upcoming flagship phones by other phone makers. But, here’s why I would buy it. It is actually priced quite low. The estimated selling price for this phone is USD$200. That’s only about RM700 (depending on currency exchange) for this high-spec Android phone. That is why this Asus Zenfone 2 is on top of my list this time. I do have two other phones in mind that can be a great phone to use in 2015. But because of the market, I don’t know whether the other two phones will be made available here in Malaysia or not. But nonetheless, both of them are worth mentioning. They are Saygus V2 and Archos 50 Diamond. That’s the end of my personal opinion on top 5 smartphones worth buying for the first half of 2015. 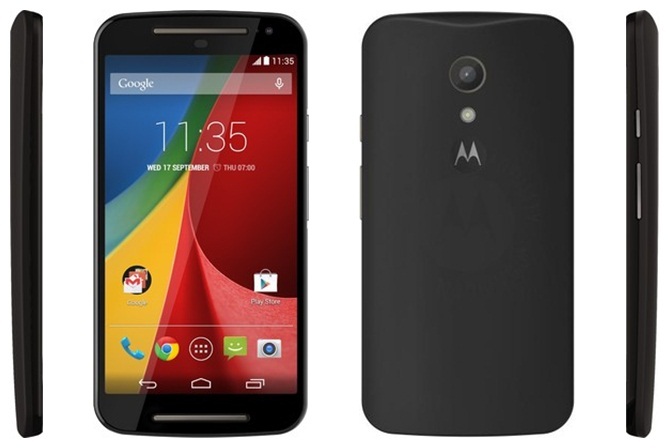 The Moto G will remain as my personal best option if you’re looking for something simple and cheap. The HTC Desire 820 is a beautifully designed Android phone that won’t break your bank that much. BlackBerry Classic is for those who used to love BlackBerry at one point, and that it is now worth to buy because of the Android app support. 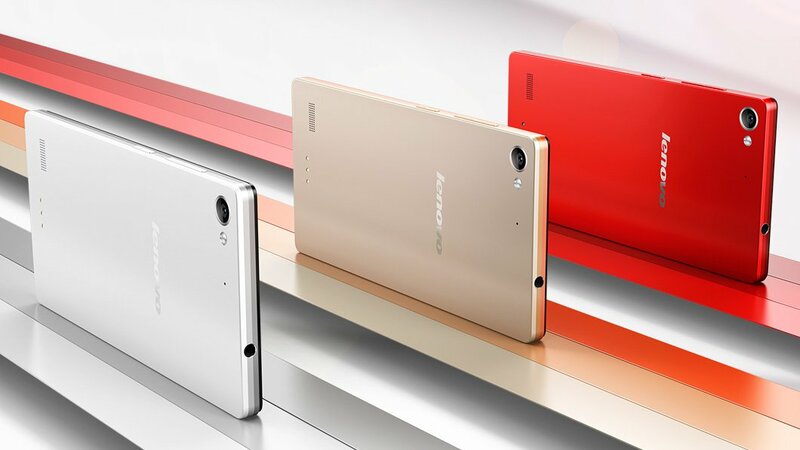 Lenovo is starting to make some good looking phones already and after acquiring Motorola, Lenovo is gaining grounds. Finally, Asus is making a good move on making a high-spec device with a relatively low price to gain some new fans. So I hope my list will help you to make some decisions on your next smartphone purchase for the first half of 2015. Thank you for reading. Note: I list the smartphones that not many people have heard of or being overlooked at. If you notice, I don’t list out the mainstream devices made by the tech giants such as Samsung, Apple or Sony. Reason being, most of their phones are in my opinion, rather overpriced. Except for BlackBerry because of the keyboard man…the keyboard.